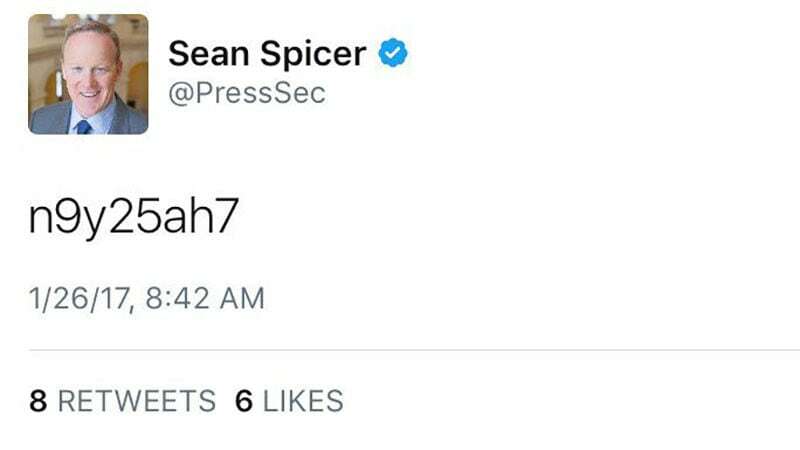 Sean Spicer's Urgent Tweet to the Nation: n9y25ah7. Is It a Password? 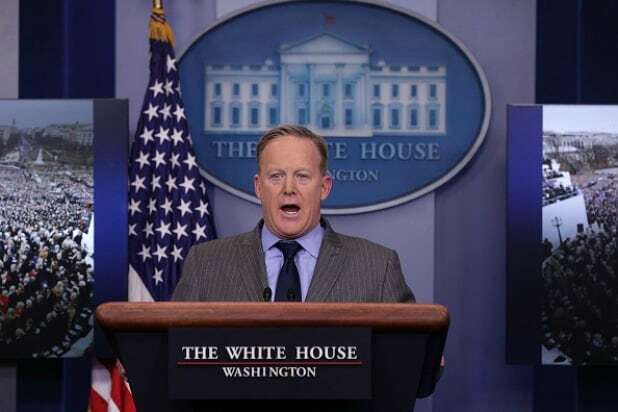 Spicer couldn’t possibly have allowed such a blatant security breach, right? Isn’t that more of the Democratic National Committee’s thing? Is there any way he would really be as lax with cybersecurity as Trump accused Hillary Clinton of being? 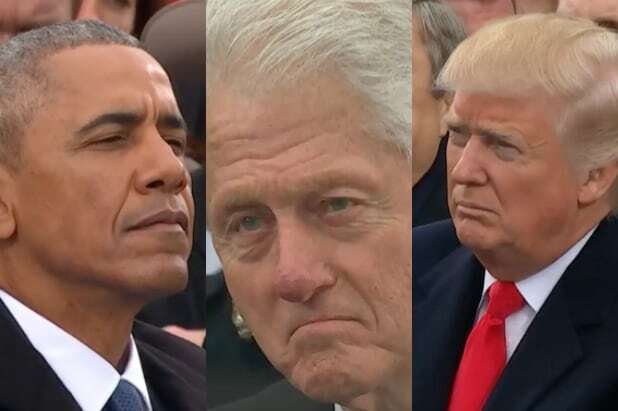 Even many of President Trump’s supporters decided a long time ago that Trump should stop tweeting. Maybe Spicer should, too? Before you get any bad ideas, bear in mind that it would be illegal to test out possible passwords to try to hack into Spicer’s Twitter account. Also, you couldn’t possibly do a worse job with it than he is.